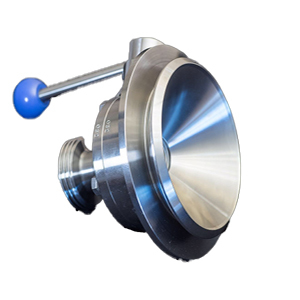 Requirements for the filling process are as far as possible residue-free emptying and no product residues in the closed valve. Thanks to the precise mount on the container outlet, the GULBINAT bottom drain valve fulfills all requirements to the highest degree. Dripping and germ formation due to product residues in the filling tank no longer exist. The use of the GULBINAT bottom drain valve significantly improves the profitability of production plants through a long circle time and smaller maintenance intervals.